First of all, offering 10/100 to Albies or Swanson is lunacy. Neither of them would command anywhere near that much to extend. Secondly, Acuna very clearly left a lot of cash on the table with those 2 extensions. Yes, he is now filthy rich, and that’s awesome for him. 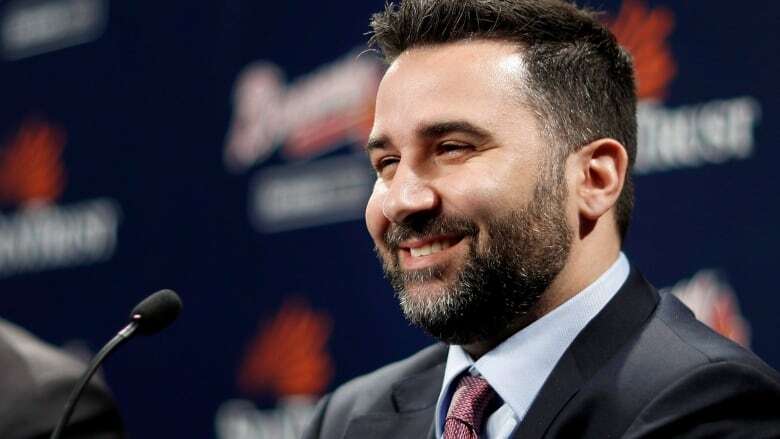 However, that doesn’t change the fact that the Braves got tremendous value with the inclusion of those options, and it has nothing to do with not going year to year. Fair on lunacy. That's not how these things work. My thought was it locks them in on a low number and gets them money up front. If you go by 7-8 million per WAR then that is a deal. That said, I have read your posts are recognize that the team control and system do not focus on these player as $/War or as FA. There is a structure to these things I'm violating with proposals. I'm the crazy one. I'd still rather pay Acuna 10 million this year and avoid paying 20 million in another year. Did he pay up or did he SJ24 you? Nothing yet- we meet end of this month to play golf. May just let him pay for my trip. Live scene from @Individual-1's house! Last edited by Acuña’s Bat Flip; 04-02-2019 at 04:40 PM. You don't even know what the GRE is. $17 million options in 2027 and 2028 with a $10 million buyout. That's ridiculously good for the Braves. And while this is a super team friendly deal it's also the largest extension ever for someone with less than a year of service time. I'm still floored that we got this deal done. AA has some serious voodoo magic working with this one. If you think about the amount of surplus value that could potentially be generated during this contract, it'll blow your mind. If Acuna actually turns in to one of the 3-5 best players in baseball, this will be the greatest contract of all time and it won't be close. If he's just a 4 win player, its still insanely good. If I'm Acuna I take 8/90 and hit the FA market at age 28 looking to make $35M per year over 8+ years. If I'm Acuna's agent that's the route I strongly push him towards. It appears Acuna and his agent gave up quite a bit of future earning potential just to get the guarantee to the magical $100M mark, and the Braves did well to extract a lot of value in exchange for going there. I totally agree that 8/90 is a better deal for Acuna but there's no guarantee that was on the table. If this was the best deal that Acuna and his agent could extract from AA, then I still can't fault Acuna for accepting it in the least. I commend AA and co for recognizing the leverage they had here and getting a team friendly deal. I've been critical of AA but I'll freely admit when he succeeds. This is a success. So we like AA again ?? Going to Suntrust tomorrow to celebrate ! That look you make when you sign the franchise player to the friendliest team contract in history through his prime. You didnt have one before? It’s what people take when they can’t major in something that requires actual intelligence. Best of luck running a tire sales team in a few years. Now off you go. Run along and show D1 daddy how well you “know athletes”. Last edited by Enscheff; 04-02-2019 at 05:15 PM. Yes, this is how these things work. The number you are referencing is for FA seasons, not buying out arbitration years. Locking Albies and Swanson up for 10/100 is not a low number. It’s an extreme overpay for both, especially Swanson. Luckily the Braves will never be paying Acuna 20 million per year. Pure speculation, but the options tacked on to the end of this deal are so out of place compared to the rest of the contract and every other extension signed the last 2-3 years that they seem to be tacked on specifically to get the extra $10M required to push the guarantee to the $100M mark. The rest of the extension (8/90) is perfectly in line with everything else we know about player contract value, then bam, those 2 options come out of nowhere and make it a huge win for the Braves. Even the terms of the options are odd...$17M with a $10M buyout. I can’t remember seeing an option before where the buyout is such a huge percentage of the option price. Every informed take I’ve seen on this extension agrees that those options were tacked on just to make the contract reach the $100M mark. Instead of an Acuna jersey, Braves fans should be buying an Alex Salazar jersey. Acuna's agent is player of the year for the Braves. Seems like that dude was in a bit over his head in these negotiations. Is this the same guy who only got Acuna $100k to sign?